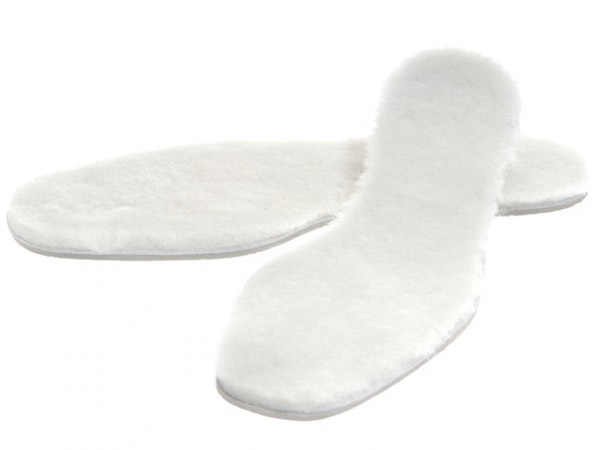 Luxury Sheepskin Insoles Makes Walking Comfortable. Keep the coldest feet warm! These genuine, sheepskin fleece insoles are cleverly combined with a PORON, multi-cellular, cushioning material for the ultimate in comfort and warmth. The soft fleece helps to keep feet warm by trapping air to form a thermal layer. The properties of the PORON foam help to reduce shock to the feet and legs by absorbing the shock waves created whilst we walk. Keep feet warm and snuggly.